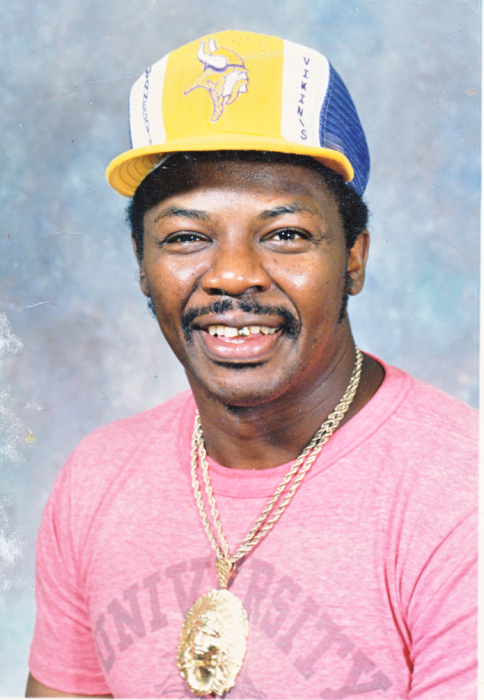 Greer, SC: Clarence Moody Jr., husband of Billie Ann Smith Moody of 213 A East Arlington Ave. peacefully transitioned this life on Sunday, September 23, 2018 at his residence. A native of Spartanburg County, hi SC, he was a son of the late Clarence Moody Sr and Lillian Payton Moody. Clarence was educated in the public schools of Greenville County and was a 1961 graduate of Lincoln High School in Taylors, SC. Formerly employee by Spring Industries, he was a member of Mayfield Chapel Baptist Church. "Sonny" as he was most affectionally called was an avid sports fan. He loved The Washington Redskins, The LA Lakers and Dodgers. Among other things, he also loved to dress and he loved his jewelry. He was preceded in death by his siblings, M. C. Morris and Kenneth Moody. Also surviving are: his sons, Timothy Moody, Brandon Foster and Sonnige Ramage all of Greer, SC, Trennie Dawkins of Charlotte, NC, Gerald Dawkins of Mauldin, SC, Darrell Booker of Wellford, SC and Gerald Foster of Simpsonville, SC; daughters, Mrs. Terri Canada, Mrs. Twanzette Anderson and Ms. Sonji Ramage of Greer, SC, Mrs. Robin Williams of Buford GA; brothers, Donnell Moody of Greer; a sister, Mrs. Bennie Lee Richardson of Greer, SC; 24 grandchildren; 6 great-grandchildren; a host of other relatives and many friends. Funeral Service will be 2:00 pm, Saturday,September 29, 2018 in New Jerusalem Baptist Church with Pastor Steve Watson, Officiating. Burial will follow in Hillcrest Memorial Gardens, Greer, SC. The Gilmore Mortuary is in charge of local arrangements.